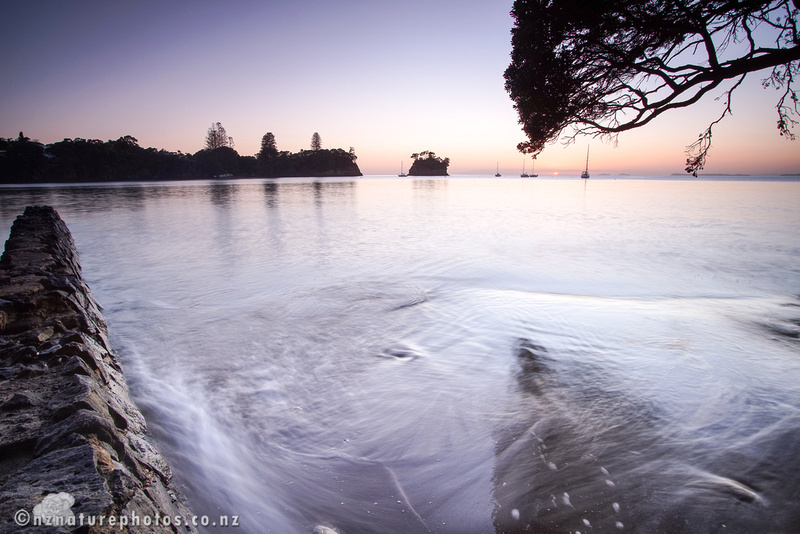 It’s not been a great weekend for outdoor photography in Auckland. The steady rain and grey skies, without any dramatic storms, offered me few chances. I did photograph the neighbour’s cat a couple of times, but it’s not really the same. These shots are thus, taken a little earlier in the week. 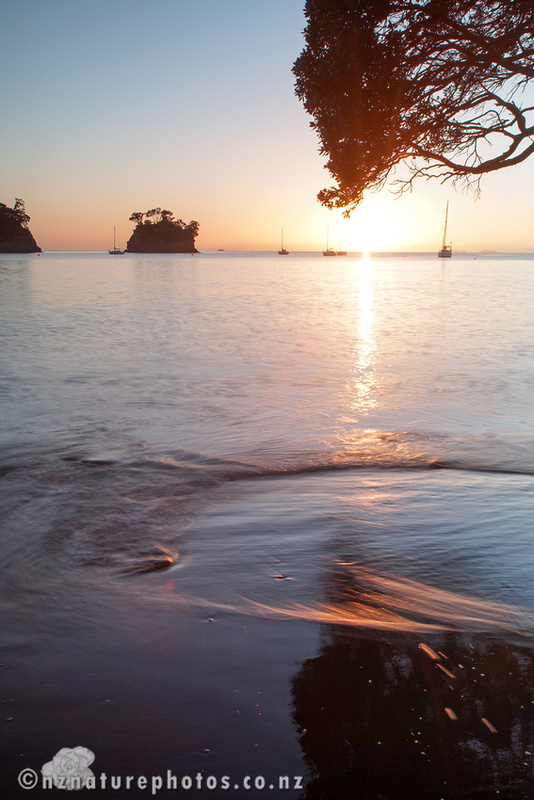 They’re of the sunrise at Waiake Beach. On one of those perfect days over the Hauraki Gulf, that also lacked the dramatic oomph I wanted. But it was still a glorious thing to see. In both cases I’m using my Sony a7R for the shots, but less usually, I’m using my iPhone as a camera remote. In this case it works even better than a regular remote, as I can view the composition on the screen of the phone. I have finally succumbed and bought an iPhone. It’s the 4S version. I’m basically using it as a camera remote and a fitness tracker. Because it’s cheaper to buy an iPhone 4S second-hand than buy a radio-controlled camera remote. Also it’s a pretty good fitness tracker and fits in my old exercise arm-band they way larger phones don’t.